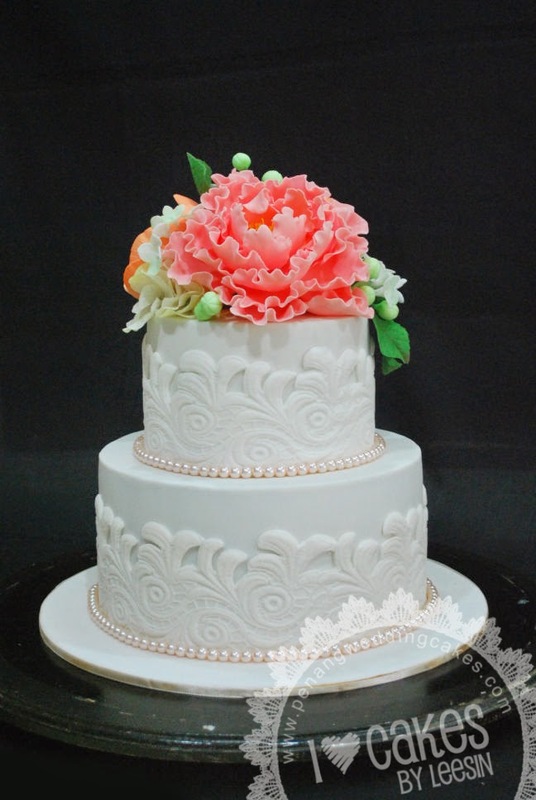 Another coral color theme cake with cupcakes....commissioned by Faiza for her niece's wedding. 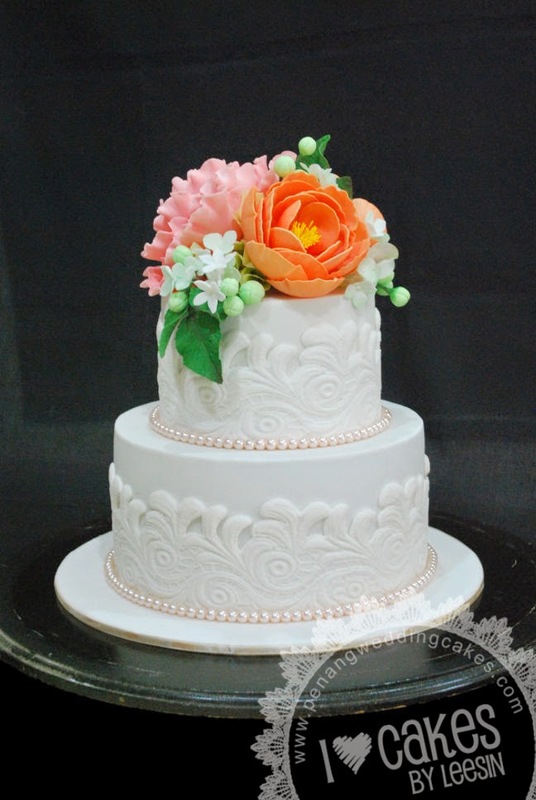 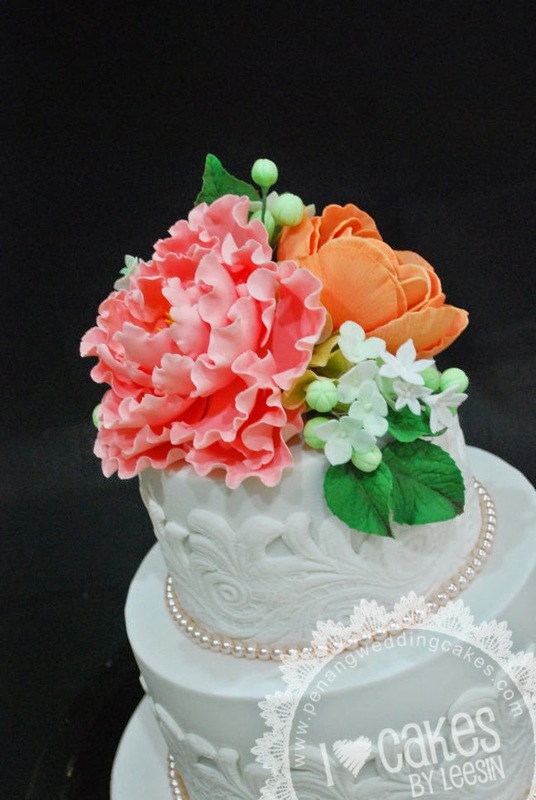 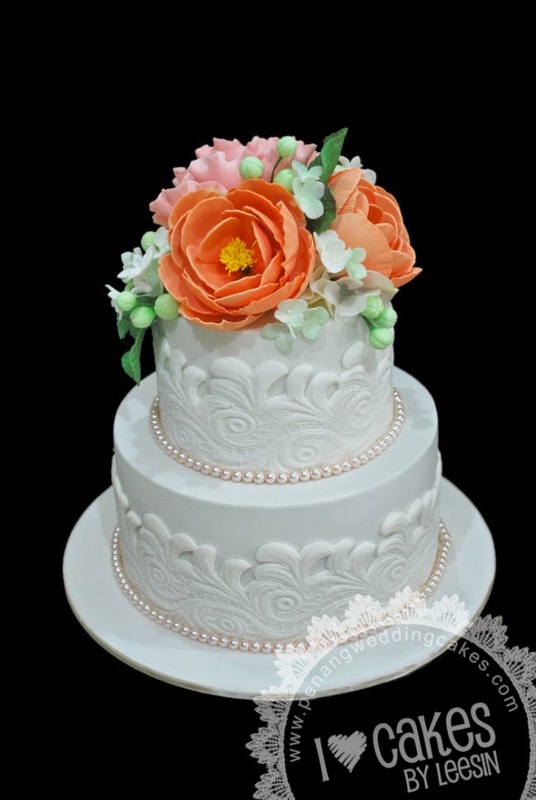 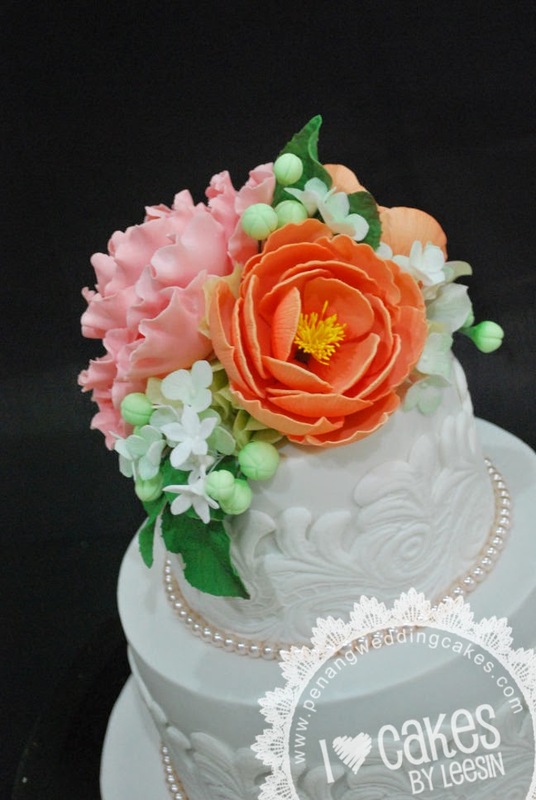 Flowers are all sugar paste. 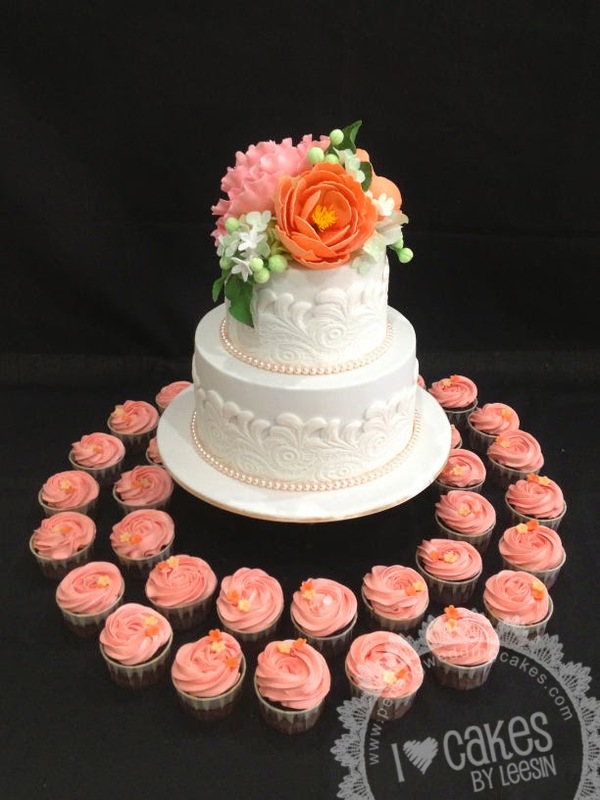 The cupcakes are chocolate brownies with strawberry flavored butter-cream.